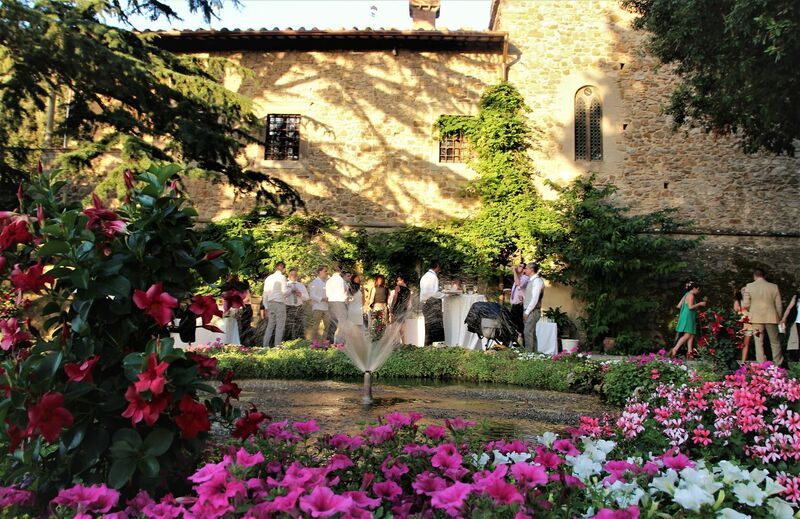 It’s possible to have many types of events at our castle in Tuscany Castello Il Palagio, check our castle wedding in Tuscany page to have more info about wedding reception parties at Castello Il Palagio. 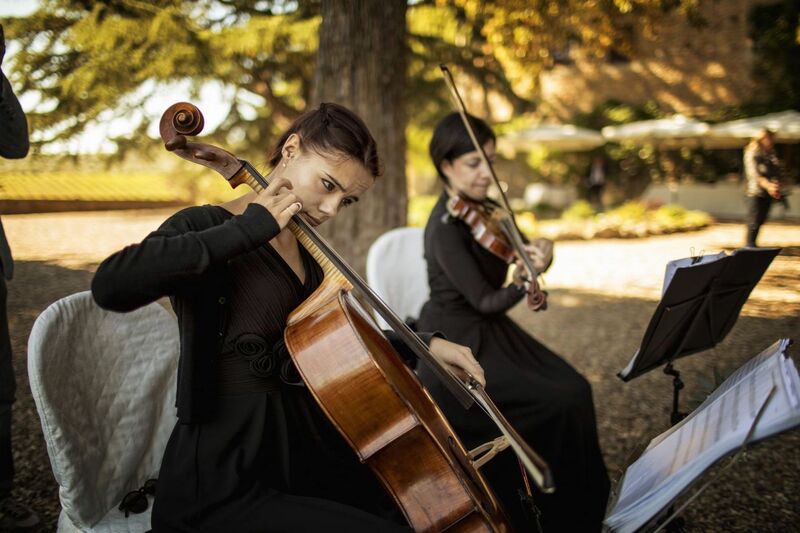 Gala and corporate dinners, conferences, business meetings, workshops, fashion shows, photo sets, historical films setting, weddings and private parties and events (Halloween party, Christmas at the Castle, New Year's Eve party, bridal showers). 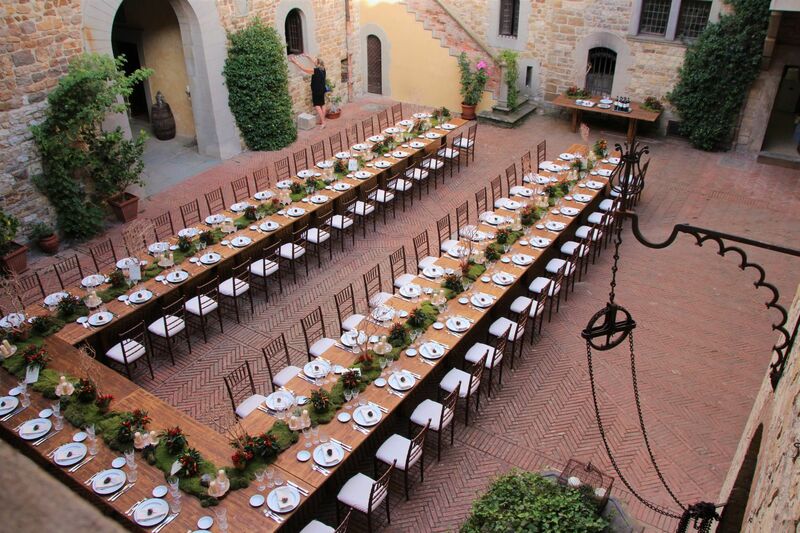 Contact us for more info for every kind of event that you want to host at our castle in Tuscany! 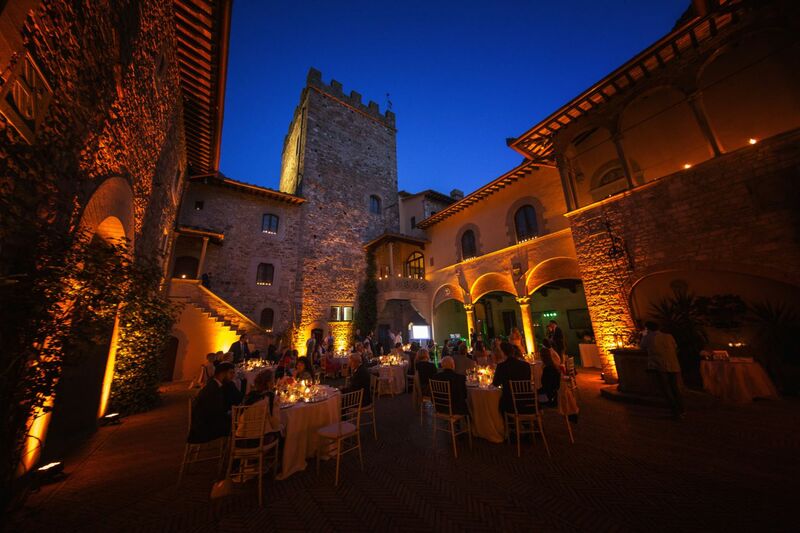 Your event needs the right setting to be successful and involving and our Tuscany castle is the perfect location for you. 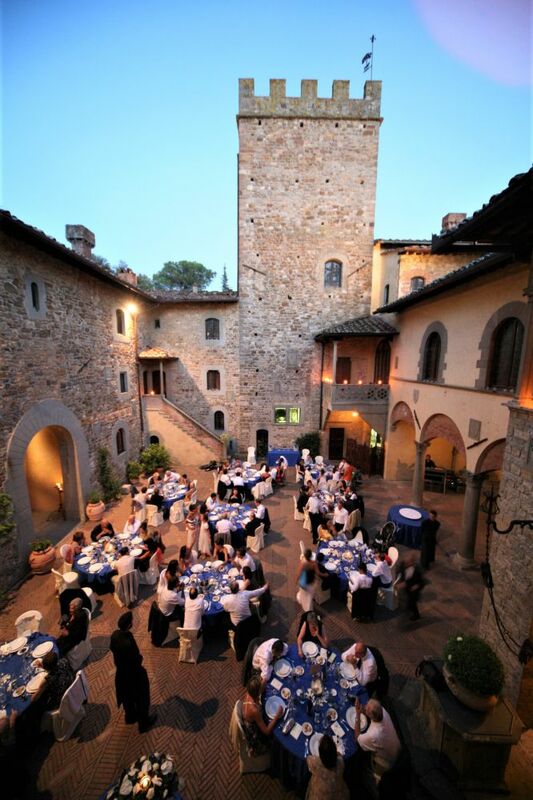 Our castle has several Halls that allow you to organize the most different events: Corporate Cocktails or Dinners, and also weddings and receptions. 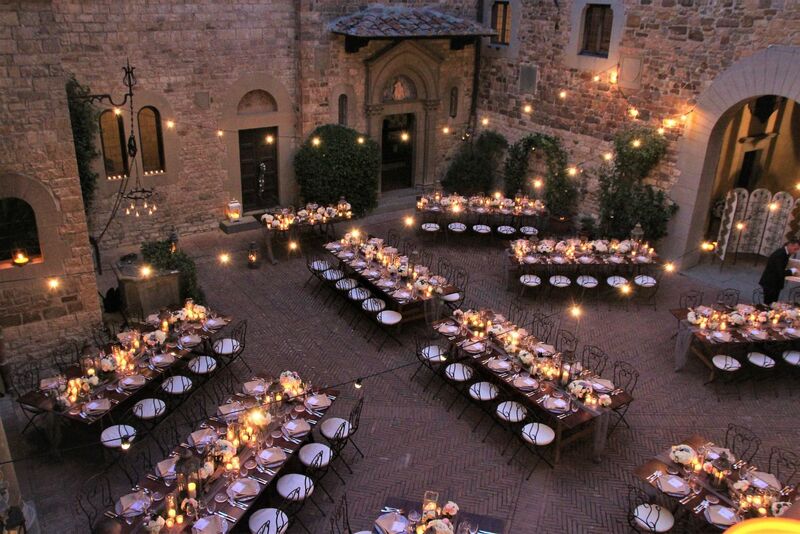 All in a wonderful and evocative setting, like the Tuscan countryside. 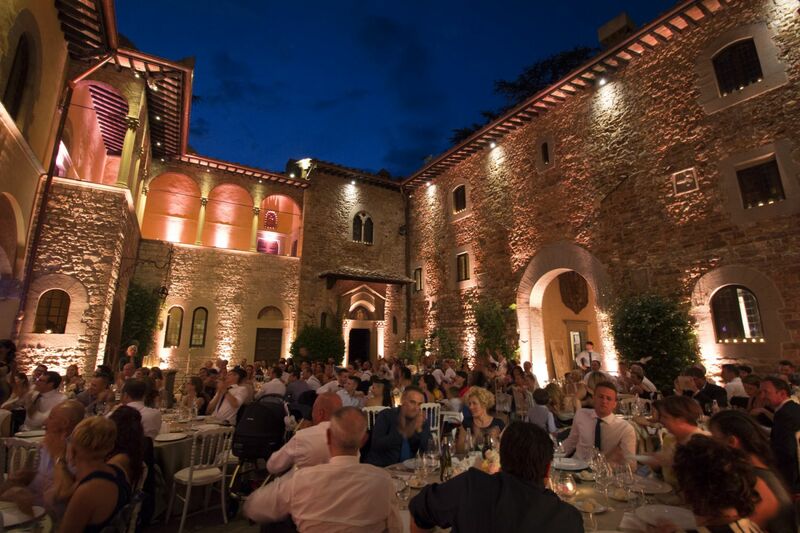 Dance halls can be set up so that you can accommodate a large number of guests for your Gala dinner. 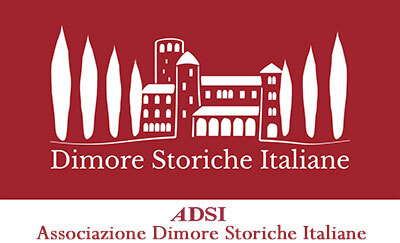 All of our halls and facilities reflect typical Florentine and Tuscan styles: decorated with spacious and bright spaces, while preserving the antiquity of the structure.